Organic farmers often live on islands in a sea of genetically modified crops. More than 90 percent of the corn that farmers plant is genetically modified to resist pests and herbicides. And corn pollen gets around. "Corn pollen can travel many miles," said Frank Kutka, a plant breeder with stories about how far corn will go to reproduce. "An organic grower from southeastern North Dakota was growing blue corn," he said, "and he had farmers up to five miles away saying, 'Hey, I had a few blue kernels coming out of the combine.' So, yeah, corn pollen blows a long way." Pollination is vital. But when an organic field is downwind of genetically modified (or GMO) corn plants, contamination happens. 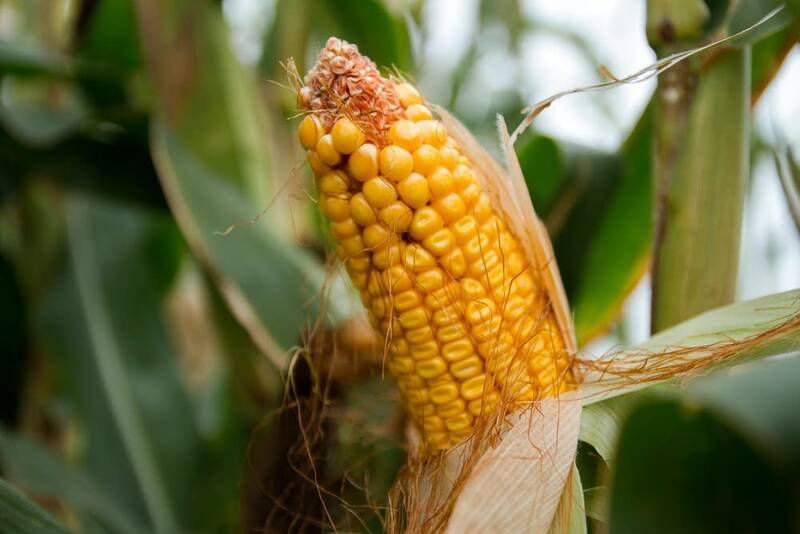 Such contamination can cost farmers thousands of dollars, because organic, GMO-free corn often brings a premium price of several dollars more per bushel. Kutka works for the Northern Plains Sustainable Agriculture Society and lives in western North Dakota. He's been trying for several years to frustrate that traveling corn pollen. 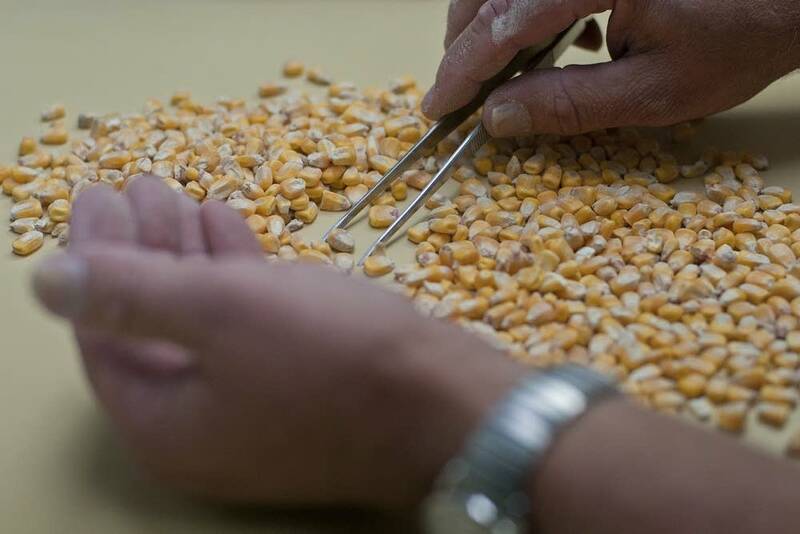 He's created an organic corn that rejects foreign pollen, and he's now working to grow enough seed to sell. Organic farmers already take steps to reduce pollen contamination from genetically modified or GMO crops. They plant buffers around fields, and try to time planting so their corn produces pollen before or after genetically engineered corn growing nearby. There's little data about the extent of genetic contamination, but in a survey done by the organic industry, about one-third of growers reported problems. This year a USDA survey of organic farmers is asking about financial losses caused by GMO contamination. There's growing demand for organic, non-GMO corn to make everything from chips to baby food, and for use as animal feed. The organic food industry recorded $35 billion in sales in 2013. Kutka said the use of products like pollen-blocking corn will become a must for every farmer of organic corn. The alternative, he said, is to "drive yourself crazy and spend thousands of dollars every year to weed out somebody else's patented gene." The genes that block foreign pollen have been around a long time. They're found in popcorn growing in South America, and in some wild corn in Mexico. But adding the pollen-blocking gene to a high-yielding corn plant can take a plant breeder about five years of trial and error. An Iowa seed company sells one of the few successful pollen-blocking corn lines. It's called PuraMaize. "It's probably one of our top five hybrids," said Maury Johnson, the owner of Blue River Hybrids in Kelley, Iowa. "And I think as time goes on there will be more demand for something like this." Johnson said the pollen-blocking gene works, but how it works is still something of a mystery. "This is one of those aspects of Puramaize that we don't completely understand," he said. "But there is something in the Puramaize plant that recognizes pollen from a non-Puramaize plant." Johnson said his company plans to release new varieties of pollen-blocking corn in the next couple of years. Corn plants are fertilized when pollen moves down the corn silk. Each successful fertilization creates a kernel. Plants with the pollen-blocking gene slow down foreign pollen and limit its success. There is little independent research on the gene's effectiveness, however. "I think there's growing interest, but the question is, how well do they work?" said Jim Riddle, who served on the USDA organic standards board and did organic outreach for the University of Minnesota. "And there's where we need to see more research — especially done by universities, not the companies themselves — to see if they are indeed blocking this foreign pollen." Riddle now works for a nonprofit that awards organic research grants. He said keeping organic crops free of genetic contamination is a critical issue, especially because organic farming has become the fastest-growing sector of the ag industry.